Two 6 hour sessions for tracking and/or mixing for $650.00! Get all those old songs out of your head to make room for some new ideas! Jazz, Rock, Blues, Rhythm & Blues, Country, Bluegrass, Folk, Classical, World, Vocal music... you name it, we can help you record it! Our staff has extensive experience with a full range of musical expressions and styles. From acoustic to electric, solo to full band, classical to hard rock, Gizmo has the right gear and the right engineer for the job. Full Production - $400.00 per song! Basic track, consisting of 2 guitars (Gantt's or yours), bass, and amazing sounding computer sequenced drums. Add Amazing Real Drums played by an Amazing Real Drummer for an additional $150.00! Professional mix to file and one CD. Additional CDs are $5.00 each or $50.00/hr for large quantities. More elaborate production is available! Call us to discuss rates and possibilities. 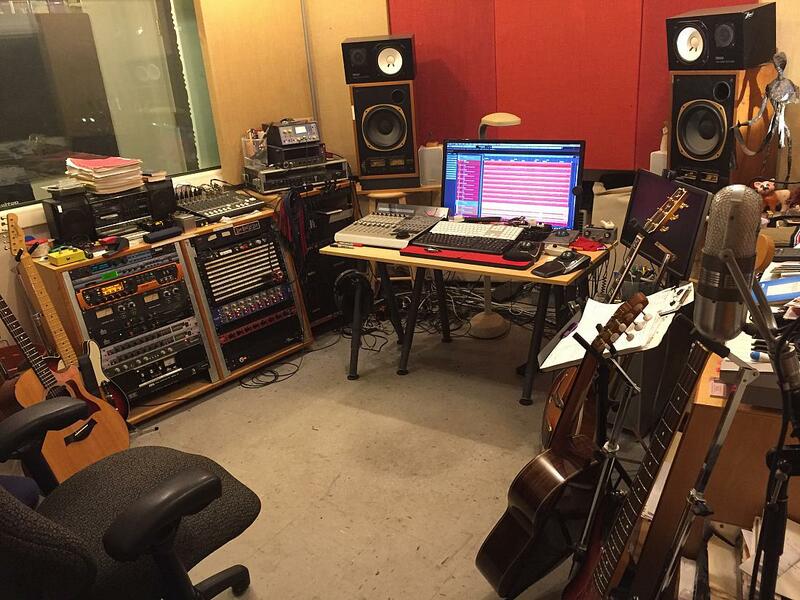 Recording your performance live in the studio with our state-of-the-art equipment. Recording your solo instrumental or vocal performance with your accompanist. Professional mix to file and one DVD.Additional DVDs and/or audio CDs are $5.00 each or $50.00/hr for large quantities. » 3 to 5 songs: $150.00 ea. Freelance Engineer Rate: $280.00 per 8 hour day. Interview and training may be required to qualify engineer. CD and Cassette Dubbing: $50.00/hr. 50% deposit due prior to session date. Balance due at end of session prior to files/media being released. We accept Visa, Mastercard, Discover, Venmo, Paypal, checks, and cash. Returned check charge: $35.00 plus any collections fees & court costs.